With one year left of nursing school, I was looking to gain some further experience before school started up again. After googling “Summer Nursing Internships” I came across the Work the World website and thought it sounded promising. When I finally talked myself into applying, I couldn’t have been more shocked by how easy the process was and how well things came together. The Work the World staff were very accommodating to my personal situation, plans, and hopes and they went above and beyond to help me make it work. Their service was spectacular! After arriving in Ghana, I continued to be impressed by the Work the World staff. Their professionalism and their ability to make you feel cared for and welcome in a brand new place was phenomenal. I was greeted by Ezekiel in the airport in Accra and felt immediately at ease. Once in Takoradi where the Work the World house is, the 7 other students I arrived with and myself were instantly taken in by staff and housemates and orientation was a breeze. The friendships you develop with your housemates make this experience one of the best you’ll ever have. 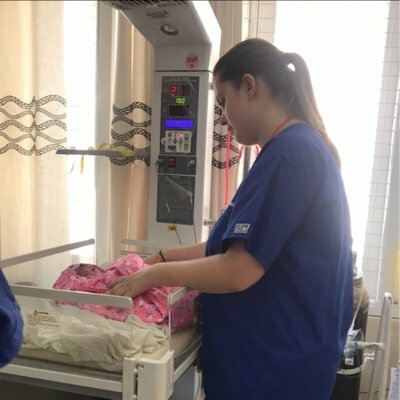 My placements involved two weeks on the labour ward, a week in a Maternity Clinic, a week in the village of Ayiem, and two weeks in pediatrics, for a total of 6 weeks. If you change your mind and want to try a different ward, or participate in the HIV, hypertension, diabetic, or community outreach clinic, Joe , one of the Work the World staff, is really flexible and interested in meeting your needs and allowing you to gain experience wherever you want to be. With this flexibility, I was able to spend some time on the accident and emergency ward, helping at the hypertension clinic, as well as the HIV clinic. The HIV clinic was such a valuable learning experience that I thought was very unique. If you have any interest in the labor and delivery process, I would recommend the labour ward in Effia Nkwanta Regional Hospital without a doubt. My time there was fantastic! Having had no previous experience in maternity at this point in my education, having the language barrier, and having no idea what they would allow or expect me to do, I spent a lot of time in my first week observing midwives and nurses. I saw my first birth and C-section whilst there, solidifying my interest in potentially becoming a labor and delivery nurse. By my second week on the ward, the staff had me counting contractions, taking vitals, monitoring mothers and assisting. The longer I was on the ward, the more they’d allow me to do. My last placement day in Ghana I chose to return to the labour ward and it was the perfect ending to my stay. The staff on the labour ward were so friendly and welcoming! They taught me so much about their culture and really embraced me as their teammate. What I experienced in my placements was not what I expected, but I still found it to be a very valuable experience. I didn’t get to practice as many of the nursing skills I thought I would, but I learned more about the type of nursing I may want to pursue, the type of nurse I want to be, and what it means to be a good nurse. Health care in Ghana is very different from home. I experienced some situations that ingrained in me how important it is to advocate for your patient and go above and beyond for them with regards to their care. I also spent a week in the village of Ayiem. The amount of love and support the nursing staff and village members showed to the other nursing student and I was overwhelming. They embraced us as one of their own and showed us how they live their life and how the village functions as a unit, and encouraged us to do all the nursing care we could. Our last morning there the other student and I delivered a healthy baby girl. It is an experience I will remember forever! The weekends are hands down some of my most memorable and exciting experiences! The friendships you develop with your housemates make this experience one of the best you’ll ever have. The weekend trips allowed me to travel all over Ghana. I had the opportunity to go on Safaris in Mole National Park, visit multiple monkey sanctuaries, hike to beautiful waterfalls, stay in a tree-house at Kakum National Park for a night and do the canopy walk in the morning, go to Cape Coast Castle, as well as relax on beautiful beaches and surf. My advice to anyone going would be to embrace the culture and attempt to speak Fante. Be willing to laugh at yourself and your circumstances. 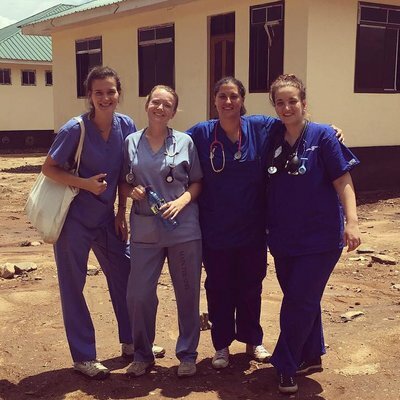 If you’re interested in experiencing another culture, learning about another country’s healthcare, learning more about who you are and want to be as a professional, establish strong new friendships, travel with those friends, and make unforgettable memories, then this experience is for you! 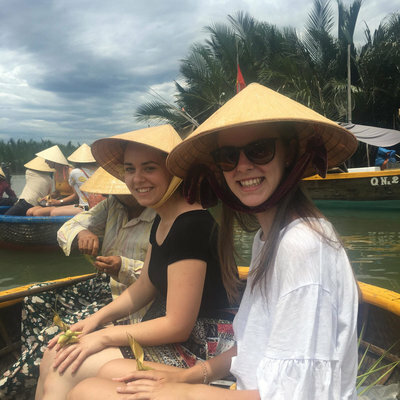 If you can, take the opportunity to apply for a Work the World placement. Personally it was one of the best decisions I’ve ever made! I am so thankful to have had this opportunity to do this placement with Work the World in Ghana. I feel so blessed to have been able to experience a new culture, a different healthcare system, interact with the people there, travel, and become good friends with some amazing people. This experience was one that will last for a lifetime! Make sure you enjoy every single moment, because it goes by far too fast!